We at Elgin Park have completed another huge puzzle! It only took 4 months to complete! But as you can see, certain pieces are missing. It is our goal for the next puzzle to not lose any pieces! Come on in and help us complete this fall-themed puzzle! On May 24th at lunch in the learning commons we are going to have a Harry Potter Trivia Game, everyone is welcome to attend. Depending on how many people show up, we will most likely put everyone into teams, or you can bring your own team. Mrs. Bonn will ask the questions, teams will have about 20 seconds to write down an answer – then each team will present their answer. Mr. Yewchuk will keep the score. Winners will get their pictures posted and a small prize! 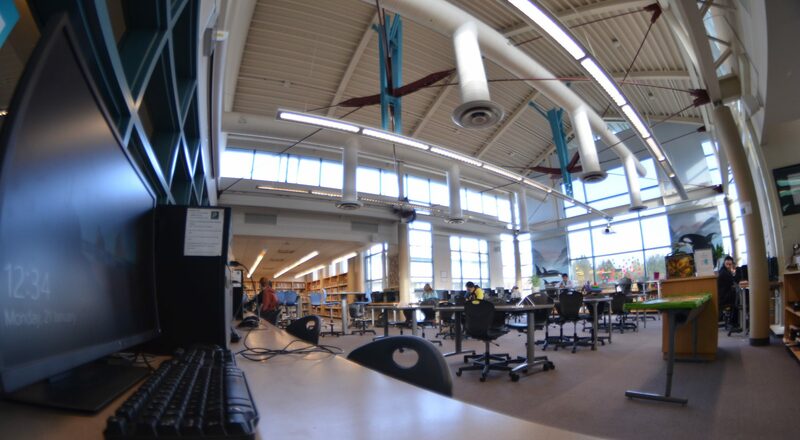 Check out the Surrey Teens Read Weebly. Early semester one voting now available. In the Learning Commons seminar room (walk in turn right). Next Read – Choice of: Levellor, The girl in the blue coat, or If I was your girl. New members VERY WELCOME! Talk to Mrs. Bonn if you have any questions. Hidden around the school are 10 presents from the Learning Commons. They are neatly wrapped with a note on the front. If you find one, its yours to keep. If you “use” it (or not “use” it) and want to rewrap it and rehide it – please, go for it! Happy searching! 20 YA books to read!